Trend Rhyming Words Match Me Flash Cards - Engage learners' matching, memory and word/picture recognition skills with award-winning Match Me Cards. 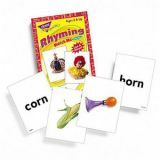 Easy rhyming concepts are depicted in photos and words for letter sound clues. 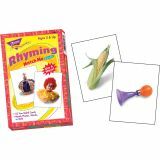 Each set has six child-pleasing, easy-to-follow activities for individual and group play. 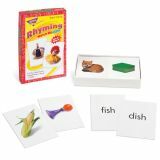 Handy 3 x 3-7/8" size is ideal for classroom, home and travel. 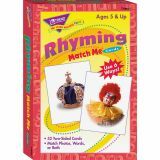 52 two-sided cards come in sturdy storage box. 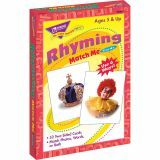 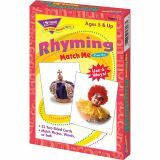 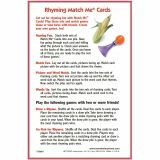 Rhyming Words Match Me Cards are ideal for students in kindergarten to third-grade (ages 5 to 8)."